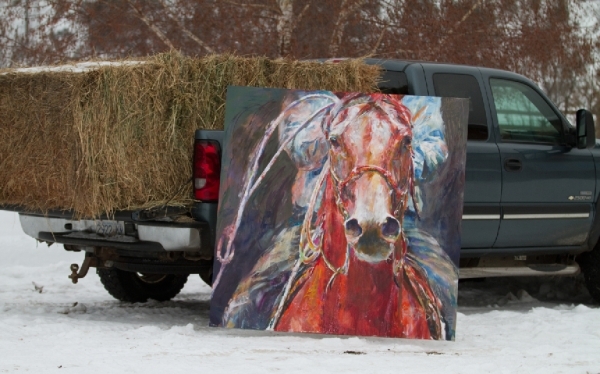 Available Ranch Life Paintings, Please inquire with the Gallery who has them on exhibition, Thank you! We live in Ranching country in the Okanagan, where large herds of cattle are grazed in the mountains… it is amazing to see how horses are still a part of life here, as ATV’s and Trucks are most often useless in situations where horses are perfect. Soft turn on a young horse.. Thank you for noticing this piece, it is one of my favourites, too! All of them are my favorite!!!! Thank you very much Ruby! I am thrilled that you like my artwork!